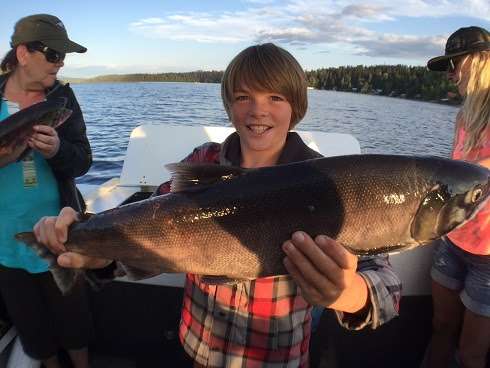 Babine Lake has been fishing excellent for Sockeye. Still lots moving into the lake and most of them are in great shape. Douglas Channel fishing really well for Coho, Halibut has been hit and miss. Sockeye fishing has been good and the fish are still quite silver. 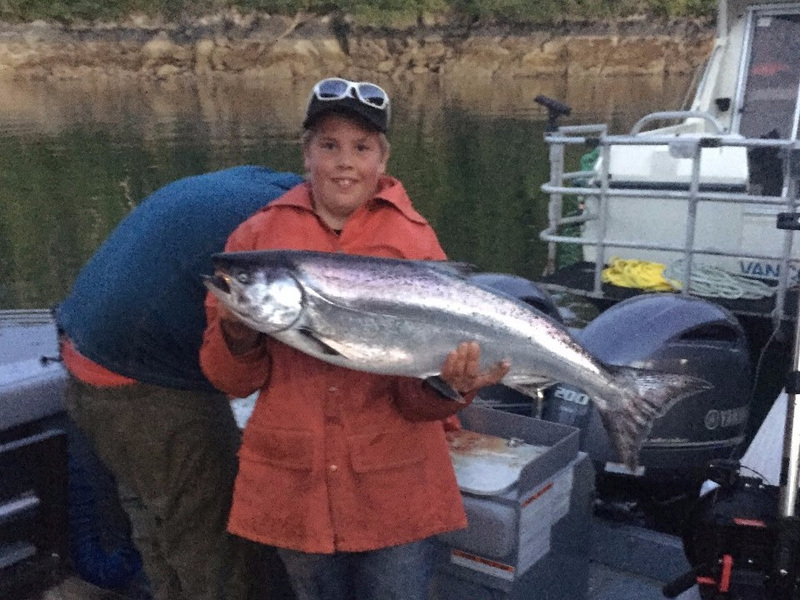 Sockeye fishing on the River ends August 31st. The Bulkley is low and clear! Coho and Steelhead are the main attractions right now. Blue is the 'hot' colour. Some beauty Steelhead have been caught on the dry fly! Be bear aware- there has been one hanging out at Trout Creek. Water is still too low and clear for productive fishing. Most fish are most likely waiting at the mouth of the Kispiox. 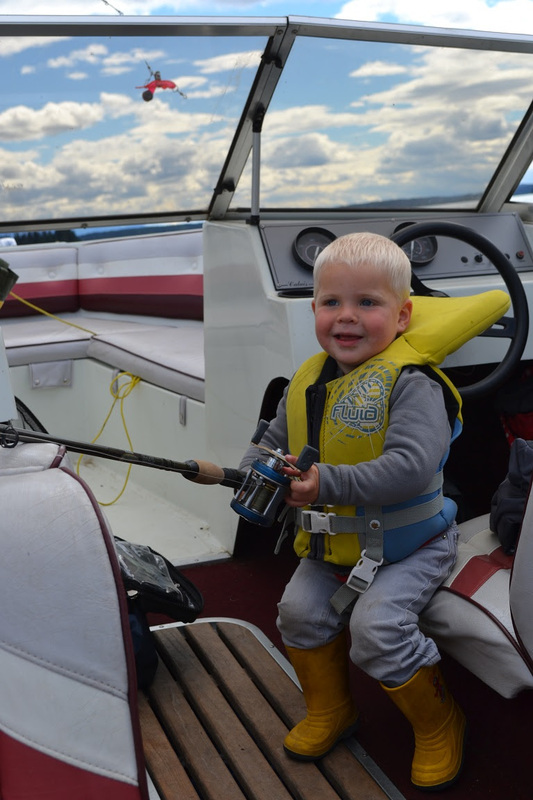 Fishing has been tough due to very low, clear waters. Rain is in the forecast so hopefully more Coho come through as the water bumps up. Fishing has been decent but we are in need of some cooler weather and more water. Copper River is blown out and the Skeena is a bit coloured below that, but in great shape above the Copper. Still quite a few Sockeye being caught, some big Coho, and some beauty Steelhead! Just a reminder that Skeena 4 is both Classified and Steelhead Stamp mandatory as of July 1.. Fishing for coho in the salt has been really good! Still a few springs caught as well. 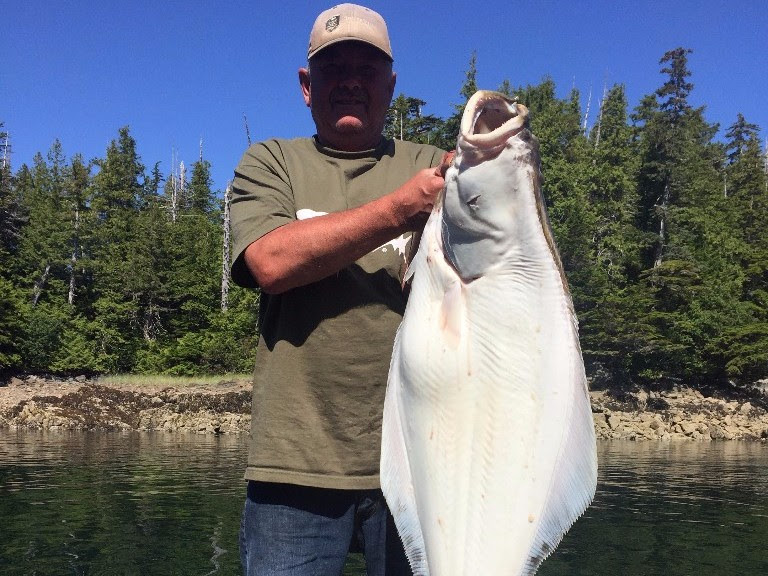 Halibut fishing has been really good. Salt Water fishing is coming to an end fairly quickly now! Unfortunately. 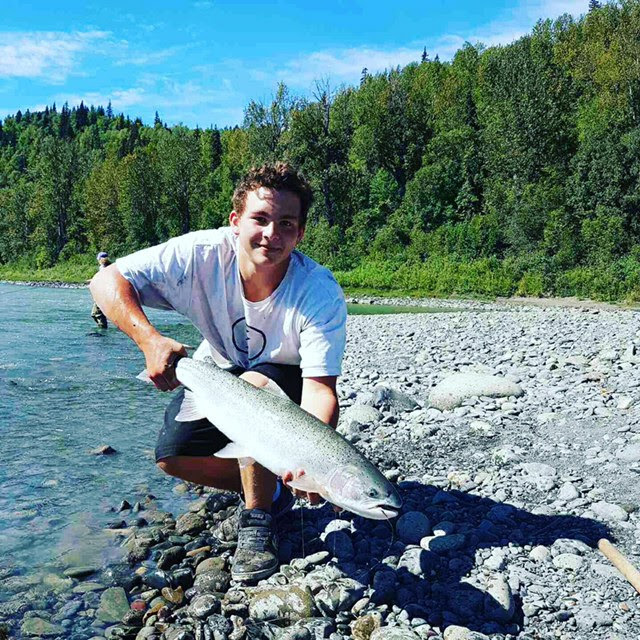 Sockeye fishing in Babine River has been ok. There are still sockeye moving in the lake. Green flashers seems to be the ticket at the moment…. The Bulkley is in great shape. Coho are in. Fishing for them seems to be best west of Smithers. 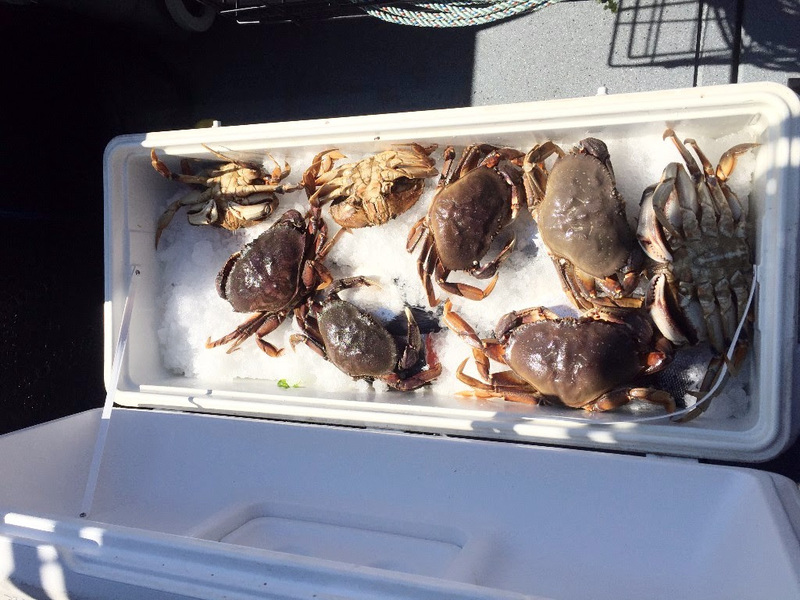 A few have been caught in Telkwa and Houston. Steelhead fishing is starting. We have never seen the Kispiox this low and clear. Not many fish in the river. Most fish are most likely waiting at the mouth of the Kispiox. Skeena is low and a little coloured. 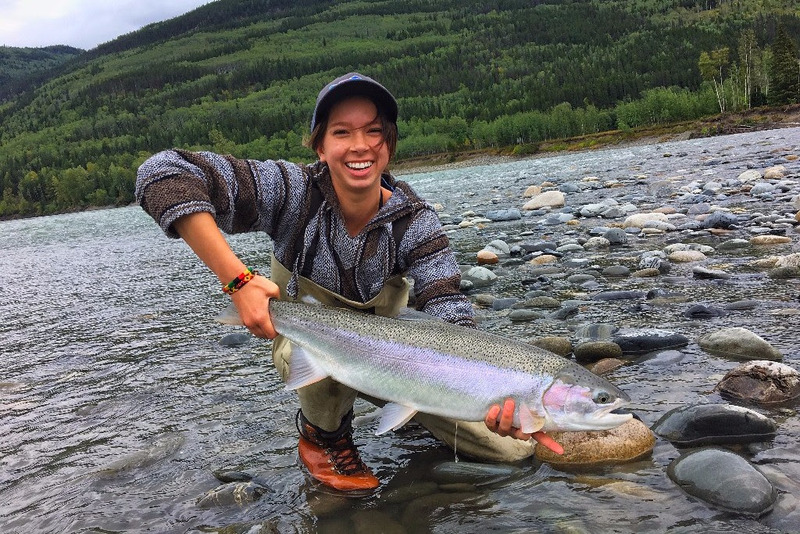 The Skeena is the place to be at the moment. Sockeye are still coming up in numbers. Cohos caught at Anderson Flats. Steelhead also caught in good numbers in the Skeena. Fly fishing for sockeye in the Babine River has been fair. Water level is a little bit higher than expected - especially with a low snow pack year. 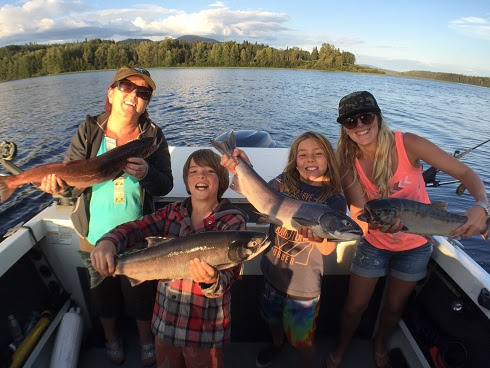 Sockeye fishing has been decent on Babine Lake. The Bulkley is in awesome shape. Coho are starting to show up. A number of steelhead have gone through Moricetown. Still some springs hanging around Moricetown as well. The water is extremely low in the Kispiox. fish are piling up at the mouth - waiting for the water to bump. The Skeena is in nice shape. This is a great time of year to be on the MIGHTY SKEENA. Sockeye, coho, pinks, steelhead are all making their journey east. 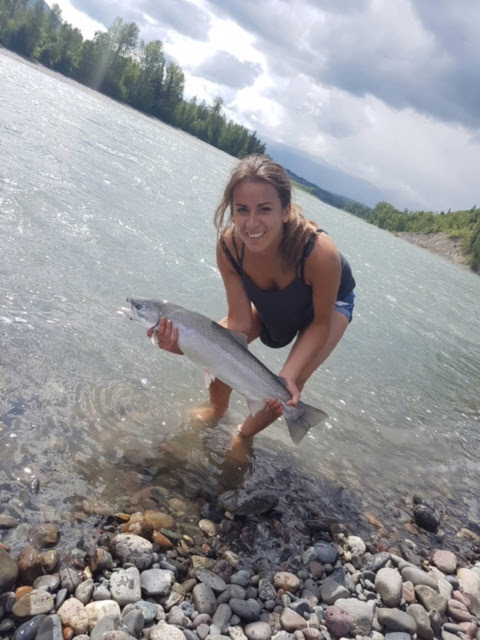 Sockeye fishing has been really good in the Hazelton area as well as west of Hazelton at the “Sockeye Bar” past Kitwanga Some cohos caught as well at Anderson Flats. Steelhead hook ups have been plenty up and down the Skeena. 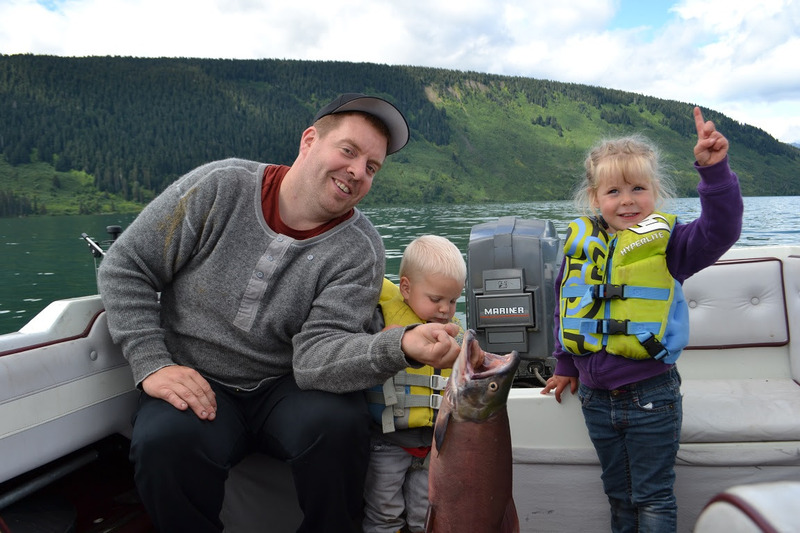 Babine Lake is open for Sockeye retention and fishing has been steady. Char fishing has been good in the local lakes. 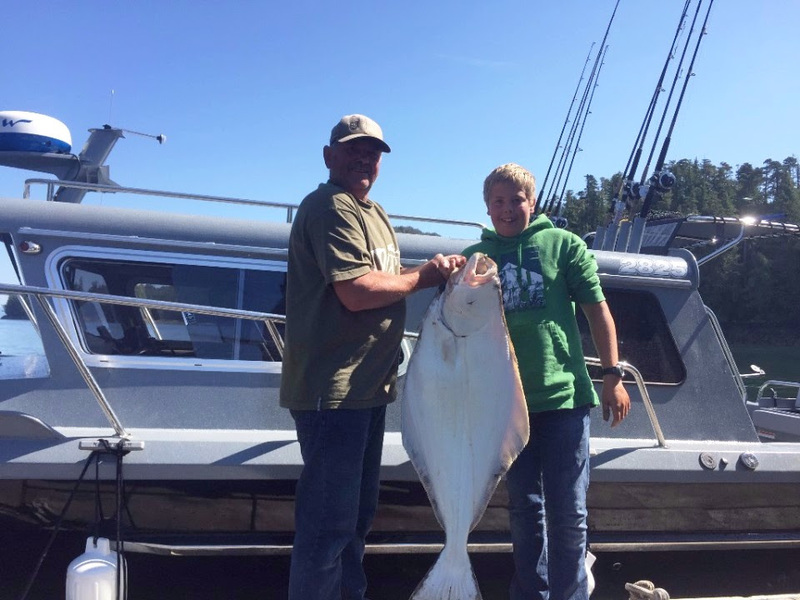 Halibut fishing has been excellent and so has the salmon fishing. Lots of variety: all 5 species available in the Douglas Channel! Sockeye fishing has been steady but not 'hot'. River levels are a bit high as the lake is higher than last year. Use a T-18 sink tip to get to the bottom. Fly-fishing only. Bulkley and Morice are in great shape and water levels are good. Coho are in and being caught as high as Telkwa so far, which is earlier than normal! Still a couple Chinook being caught. Steelhead already showing up at Moricetown. Water is really low and fishing is tough. Coho and Steelhead are in but not being caught due to the water levels. Chinook retention is over but the Pink fishing has been excellent and Coho are moving in and being caught more and more! Still some Chum out there too. Sockeye fishing has been great, lots of Coho being caught, and quite a few Steelhead already moving through-although catching them has been tougher. The Steelhead returns for the Skeena watershed look very promising for this season! 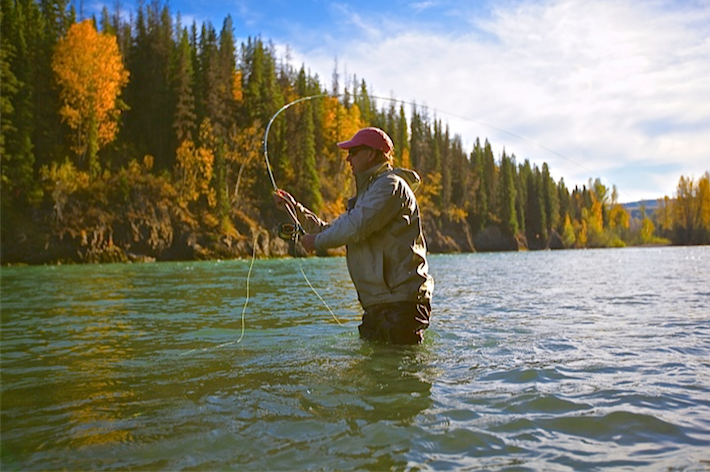 Water levels and clarity are great and now is the time to fish! 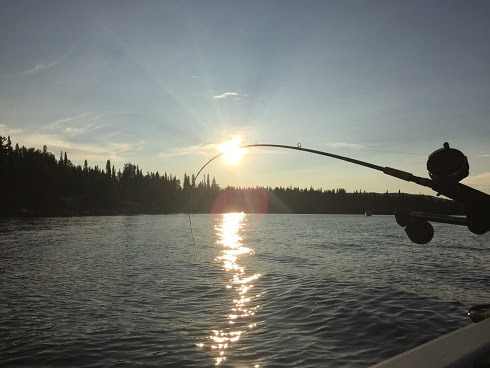 Thanks Jason Krauskopf for the beautiful photos of your Sockeye Fishing Fun on the Babine! Meziadin Lake has been very poor for Sockeye so far this year, hopefully Babine Lake produces more come August. Still lots of trout, cut-throat, and dollies being caught in the various lakes. Saltwater fishing has been great overall. Springs pretty much done but the halibut and Coho fishing has been excellent. Unless the DFO state otherwise, August 1st the Babine River and Lake are open for sockeye retention. Numbers look good and quite a few fish have already entered the lake. Please check the regulations as part of the river is fly-fishing only. The Bulkley is finally dropping and clearing! Springs being caught in Moricetown. Morice is clean and clear. Some Springs are being caught, mostly higher upstream. Check the regulations as there are some closed sections. In excellent condition! Still some Springs left, but there is no retention as of August 1st. Water is finally in shape again. Springs are still being caught but not many. Sockeye are in but catching has been hit and miss. 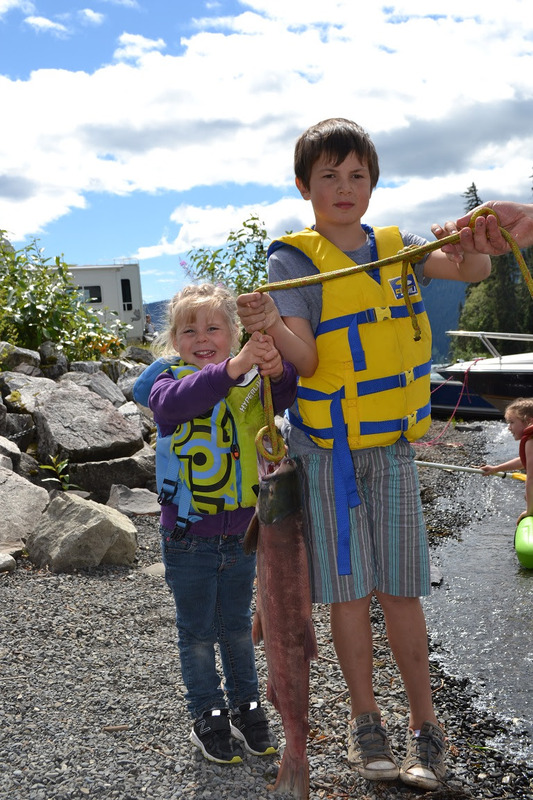 Kitwanga Back Road or Ferry Island are great places to take your family and try your luck at catching some Sockeye. A little family-fish time on Meziadin. Didn't catch many but the kids were pumped just to haul one in and get splashed a bit.